NAWIC is Committed to Safety. Safety affects everyone everyday, whether you are on the jobsite, in the office, at home or on your way to the grocery store. Being aware of your surroundings, dressing appropriately for the task, wearing the correct personal protective equipment (PPE) are simple things that every man and woman on a jobsite must do each day. NAWIC National and OSHA have an alliance to help re-inforce good safety principals for women in construction and their employers. Safety Training for Fall Prevention in Construction. 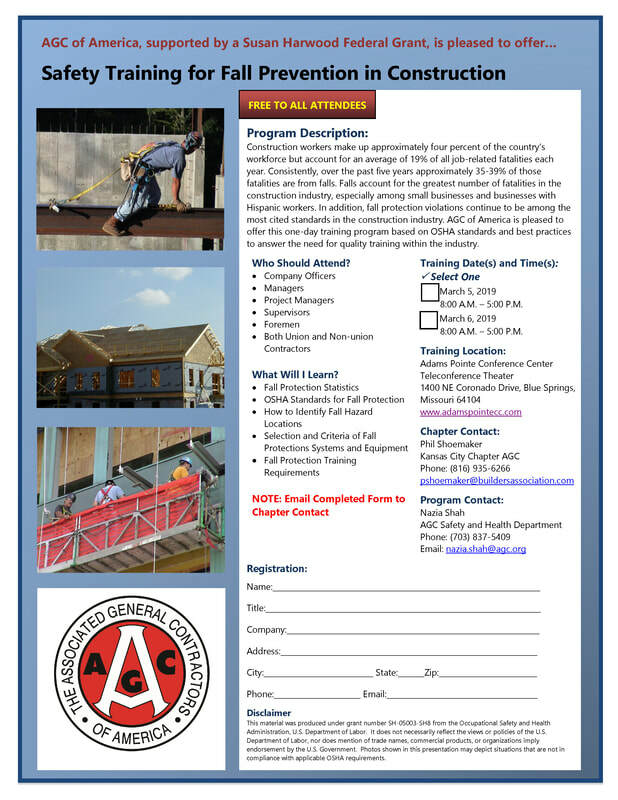 The AGC of America is offering this one-day training program based on OSHA standards and best practices in Fall Prevention in construction. The one-day course is FREE to all attendees, union and non-union. It is being offered two days in Kansas City, March 5, 2019 or March 6, 2019. Pre-registration using the form below is recommended. This training program is offered as a free benefit to anyone in the construction industry and is supported by a Susan Harwood Federal Grant. 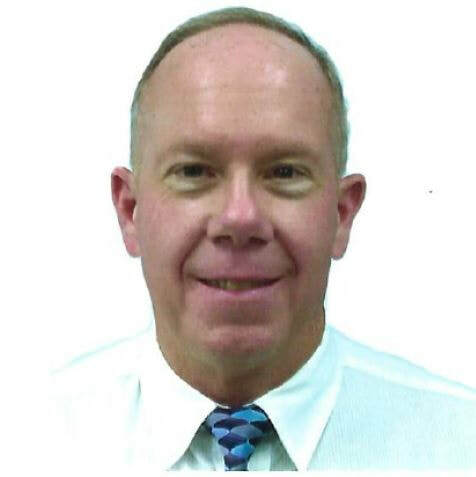 2018 National NAWIC Safety Excellence Award Competition. ​NAWIC 's National Safety & Health Awareness Committee is pleased to offer the Safety Excellence Award to distinguish NAWIC member companies who recognize safety as a corporate value and commitment. These companies have implemented excellent safety and health programs, and innovative solutions for creating strong safety cultures within their organizations. The means of achieving this include owner/upper management commitment, proactive safety and health programs, consistent enforcement policies, employee training, management committee initiatives, and program implementation creativity/innovation. Women may represent a minority on most construction jobsites, but that does not mean that we shouldn't have properly fitting personal protection equipment (PPE). Girl Power At Work has come out with a line of PPE designed to fit women sizes XS - 3X. Download the flyer and share with your Project Managers, Superintendents and Company Safety Managers! National NAWIC Sponsored Safety Webinars. There are no NAWIC Safety Webinars scheduled at the moment. ​Check back here soon for new NAWIC Safety webinars and educational opportunities. You can also find information on NAWICs Safety Committee website. While quite a few schools in the U.S. including some right here in Missouri, offer Industrial Safety programs, Keene State College in Keene, New Hampshire is offering the first-in-country Construction Safety program! If you or someone you know wants to pursue a degree in Construction Safety, they may want to check out this school. Click on the school logo at left for a Construction Dive article announcing the program!